Apple TV users can now use their devices to watch CNBC, FOX NOW, TV 2 Sumo, and Esporte Interativo, though access to the new channels are limited by region and network. FOX NOW requires an approved cable or satellite provider, and includes a large library of TV shows from the Fox network, including the popular COSMOS: A Spacetime Odyssey series. Additional shows available on FOX NOW include 24, Glee, Dads, Gang Related, Family Guy, American Idol, amongst others. CNBC, a financial and stock markets oriented channel which tends to be a mix of news and entertainment, also requires an approved cable provider to view. 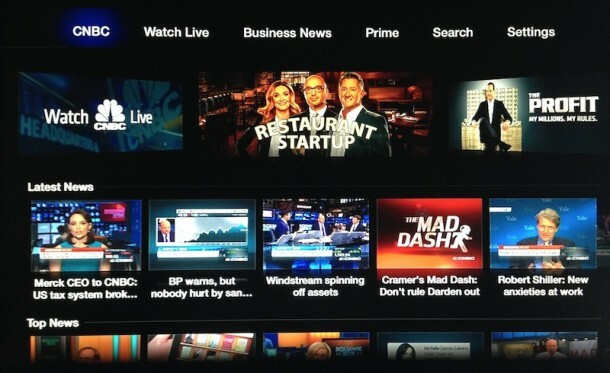 On the Apple TV, you can access a live stream of CNBC, and find clips of segments and full episodes of a variety of shows that are from the network, including The Profit, American Greed, and Nightly Business Report. Complete access to some of the CNBC content requires authentication on the CNBC website. TV 2 Sumo is available to view in Norway, which includes sports content, dramas, news, and documentaries. Despite the name, it is not exclusively a network for watching Sumo wrestling (bummer). Esporte Interativo, a popular sports channel in Brazil, has also been added to the Apple TV for regional users, and requires a separate $4.99 monthly subscription to view. If you’re not a fan of the new channels, don’t have an approved cable provider, or have no intention on watching whatever media is available on them, you can always hide channel icons from the Apple TV home screen through Settings and declutter your TV home screen. 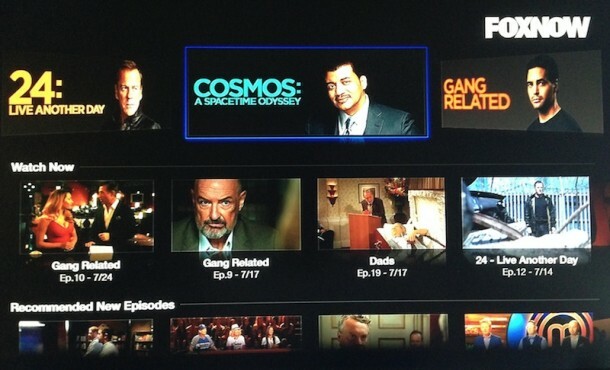 Thanks to MacRumors for the images and for first noticing the Apple TV additions. 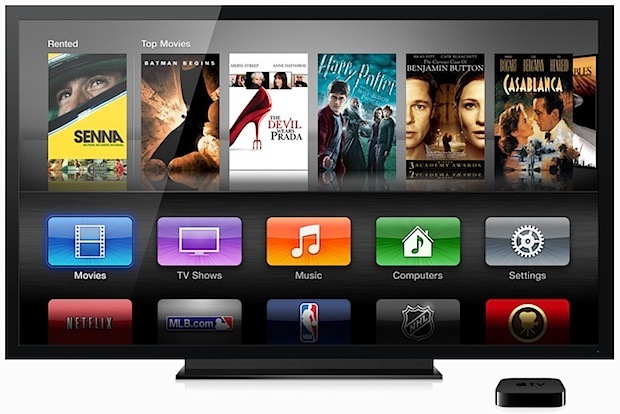 That actually DE-VALUES Apple TV – A LOT ! !